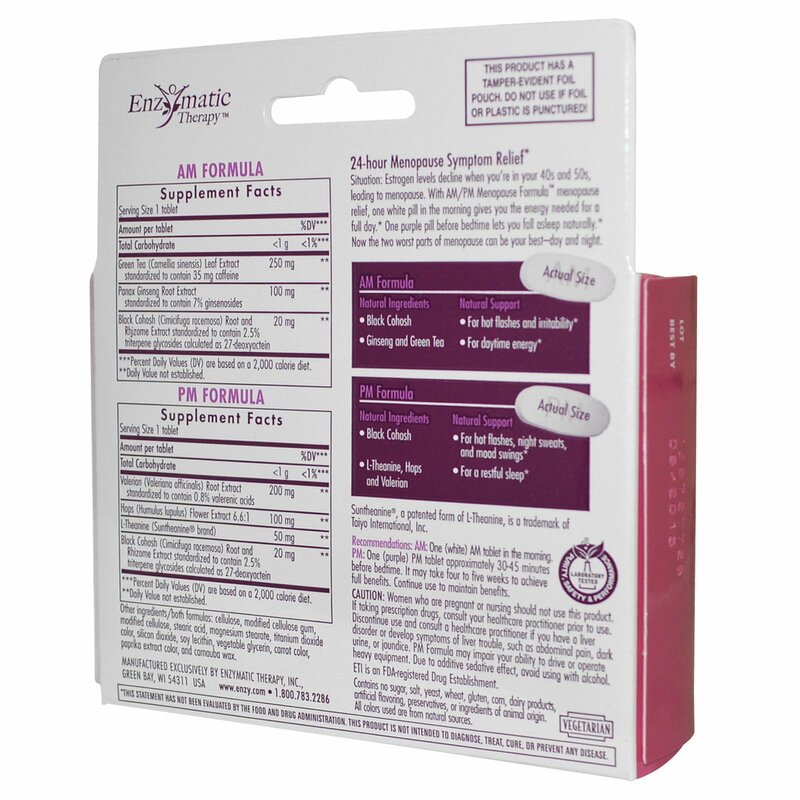 Situation: Estrogen levels decline when you're in your 40's and 50's, leading to menopause. 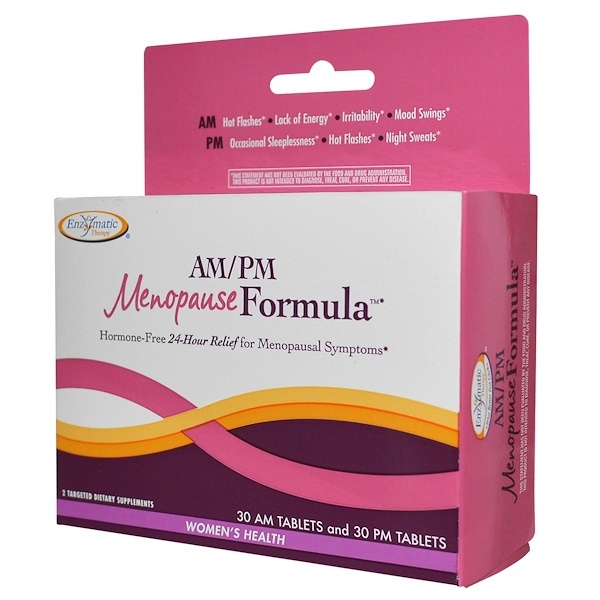 With AM/PM Menopause Formula, one white pill in the morning gives you the energy for a full day. One purple pill before bedtime lets you fall asleep naturally. Now the two worst parts of menopause can be your best—day and night. Other Ingredients/Both Formulas: Cellulose, modified cellulose gum, modified cellulose, stearic acid, magnesium stearate, titanium dioxide color, silicon dioxide, soy lecithin, vegetable glycerin, carrot color, paprika extract color, and carnauba wax. Caution: Women who are pregnant or nursing should not use this product. If taking prescription drugs, consult your healthcare practitioner prior to use. Discontinue use and consult a healthcare practitioner if you have a liver disorder or develop symptoms of liver trouble, such as abdominal pain, dark urine, or jaundice. PM Formula may impair your ability to drive or operate heavy equipment. Due to additive sedative effect, avoid using with alcohol.